It's a White Chocolate Paradise! Who can resist Crispy KitKat wafers smothered in White Chocolate! Crisp Wafers in White Chocolate - WOW!! Each Kit Kat package has 4 crispy wafer bars, just like the original flavor. Net weight 42g or 1.5 oz. 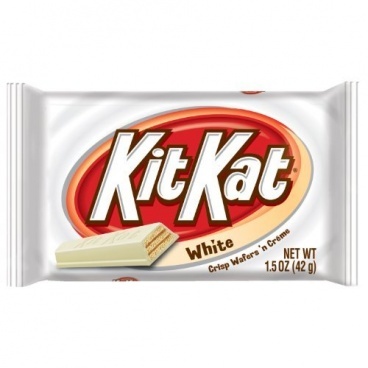 White Chocolate + KitKat = HAPPY TASTE BUDS! Limited Edition White Chocolate KitKat. 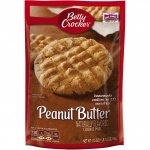 Sugar, Cocoa Butter, Milk Non-Fat, Wheat Flour, Palm Kernel Oil Refined, Lactose Milk, Whey Reduced Minerals Milk, Milk Fat, Contains 22% or less Chocolate, Soy Lecithin, PGPR Emulsifiers, Yeast, Flavours Artificial, Salt, Tocopherols To Preserve Freshnes *Produced from genetically modified maize.